WCS CANADA has been leading extensive efforts to help Western Canada bats survive the potential arrival of a deadly disease that has killed millions of bats in eastern North America. 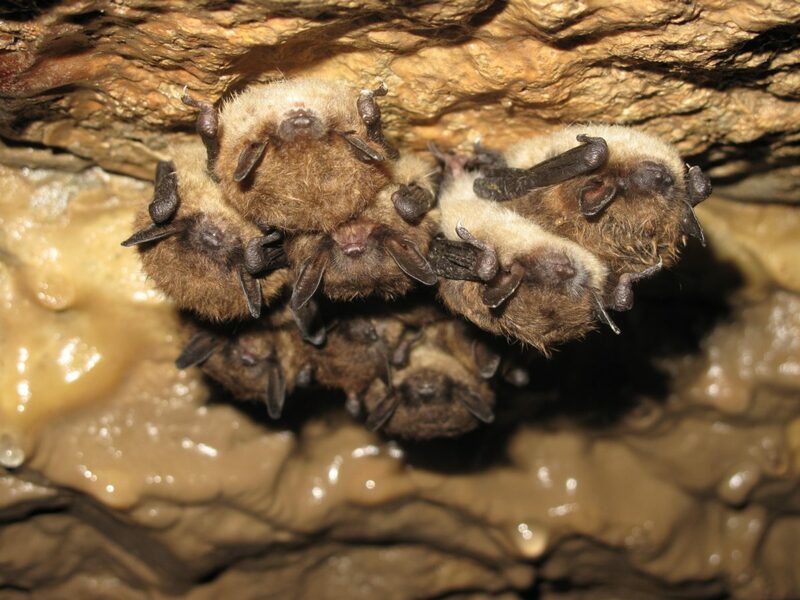 White-nose syndrome (WNS) kills bats during hibernation, but due to physiological, habitat and behavioural differences in western bats, we have been in a race to understand – and prepare for – potentially different impacts and disease trajectories in Western Canada. Locating hibernation sites and areas in Western Canada used by overwintering bats and documenting winter habitats and behaviours (the key period for WNS infection). Engaging cavers in monitoring and surveillance activities in BC and Alberta through our BatCaver program. Training biologists and resource managers in acoustic monitoring and other bat inventory techniques. 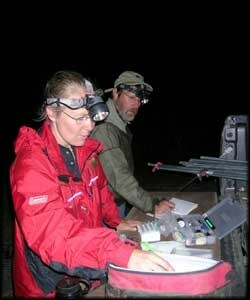 Implementing the North American Bat Monitoring Program (NABat) in BC through engagement of independent and government biologists from across the province to produce large-scale assessments every five years on species diversity and distribution, as well as status and trends of bat populations. Promoting education, awareness and stewardship of bats, including mentoring the Kootenay Community Bat Program and providing leadership for the Alberta Community Bat Program, and studying issues with excessive heat in bat boxes caused by climate change-driven temperature changes. Understanding wintering ecology and identifying areas that are key to protecting current bat populations while laying the groundwork for assisting with the recovery of remnant populations should WNS reach BC. Collecting bioenergetic data on bats to assist with predicting which species and places will be most vulnerable to WNS. Collaborating on the development of a pro-biotic cocktail of “good” microbes that can help increase bats’ resistance to WNS and researching ways to efficiently apply this treatment based on our unique understanding of western bat behaviours (e.g., most do not hibernate in large groups as eastern bats do). Collaborating with universities to build student skills in bat conservation, including bat acoustic projects and microbial investigations for treating WNS (Thompson Rivers University and University of British Columbia Okanagan).